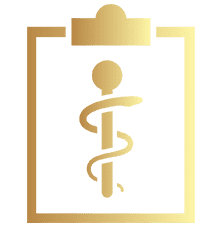 Promoting women’s health and providing integrative care that treats the whole person throughout a patient’s lifetime are top priorities of the team at AMG Medical in Tucson, Arizona. Gerald Morris, MD, MPH, and Amanda Bacchus-Morris, MD, MPH, have extensive experience in all aspects of women’s health care, from routine well-woman and gynecological care to the treatment of all types of acute and chronic disease. If it’s time for your annual appointment, call the office or book an appointment online today. When should I schedule a women’s health checkup? The great advantage of getting your healthcare at AMG Medical is that they can provide your sick visits, yearly well-woman exams, and your routine gynecological care. In addition to scheduling an annual well-woman and gynecological exam so your doctor can find early signs of problems and provide preventive care, you should also call for an appointment any time you don’t feel well or have worrisome symptoms. What gynecological services are provided? Women’s health services at AMG Medical include a complete pelvic exam, breast exam, and Pap smear. They also provide the full range of birth-control options, from oral contraceptives to IUDs. These symptoms are often easily treated, but they should always be evaluated in case they’re signs of an underlying problem. What are long-acting reversible contraceptives (LARCs)? Intrauterine devices (IUDs) and implants are LARCs because they’re inserted once, then continuously prevent pregnancy for 3-10 years, depending on the type of LARC you choose. LARCs are just as effective as permanent birth control — nearly 100% effective — yet they’re completely reversible. Although they can stay in place a long time, LARCs can also be removed any time you decide to switch birth control methods or wish to get pregnant. IUDs are flexible T-shaped devices small enough to fit inside your uterus. Some IUDs prevent pregnancy by slowly releasing hormones that stop ovulation and change cervical mucus. One type of IUD uses copper rather than hormones, which acts as a spermicide. Nexplanon is a narrow rod-shaped implant that’s placed under your skin. It releases hormones that prevent pregnancy for up to three years. What other services are available at my well-woman exam? The doctors at AMG Medical offer comprehensive care so that they can diagnose and treat all aspects of your health concerns. If it’s time for your women’s health checkup or you have symptoms that should be evaluated, call AMG Medical or book an appointment online today.